Once we receive your completed form, we will email you the registration code to sign up with the MN State High School Trap Shooting League. After completing step 1, students will receive the registration code. Student athletes in grades 7 through 12 can register directly with the Minnesota State High School Trap Shooting League - the cost of registration is $35. Submit $180 to PC Community Ed 700 6th St. S.W. Pine CIty, MN 55063. (Checks made payable to P.C. 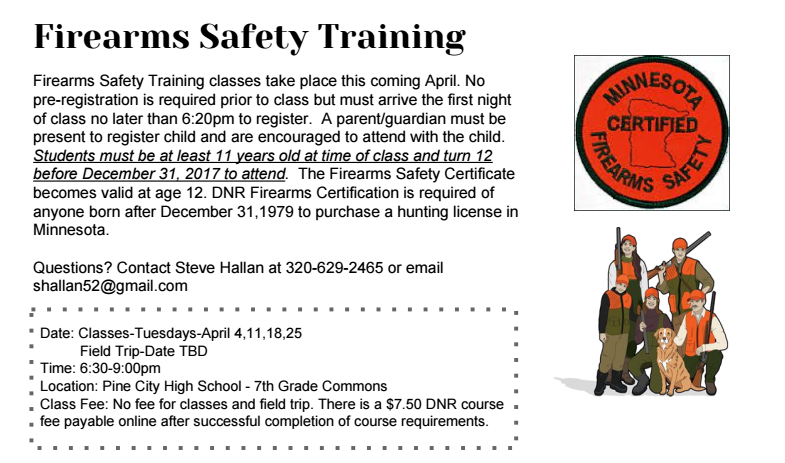 Community Ed) The $180 fee covers the cost of shooting at Wings North in Pine City and the ammo. Each week, every student shoots 50 rounds. 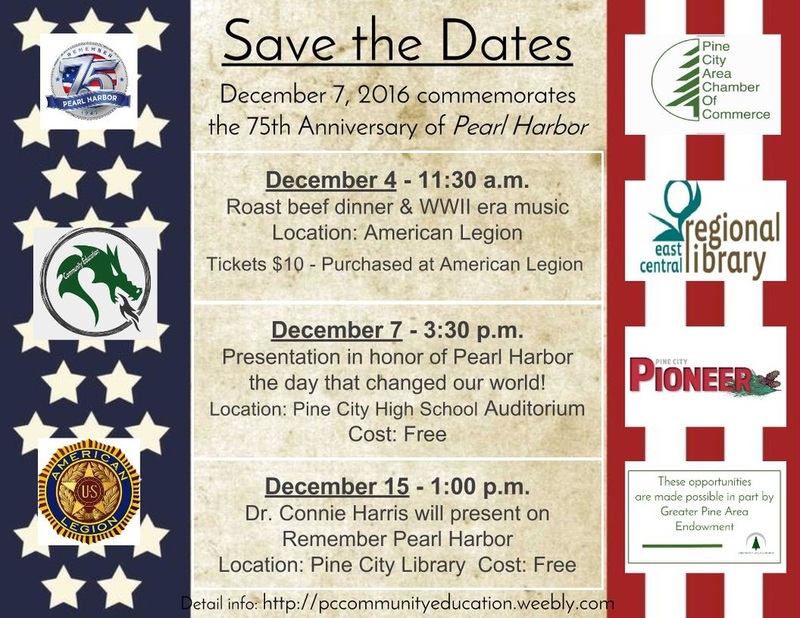 December 7th commemorates the 75th Anniversary of Pearl Harbor!